News: Results for IM Lanzarote and Texas, IM Brazil coming up, Gomez crushes Challenge Half in Barcelona, Terenzo and MBE wins Florida 70.3. This Weeks Discussion: Bevan wants to get to know you guys a whole lot better. He was wondering if you were to get stuck on a desert island what would be the four things that you want to have with you? You can't take people. Comment here. 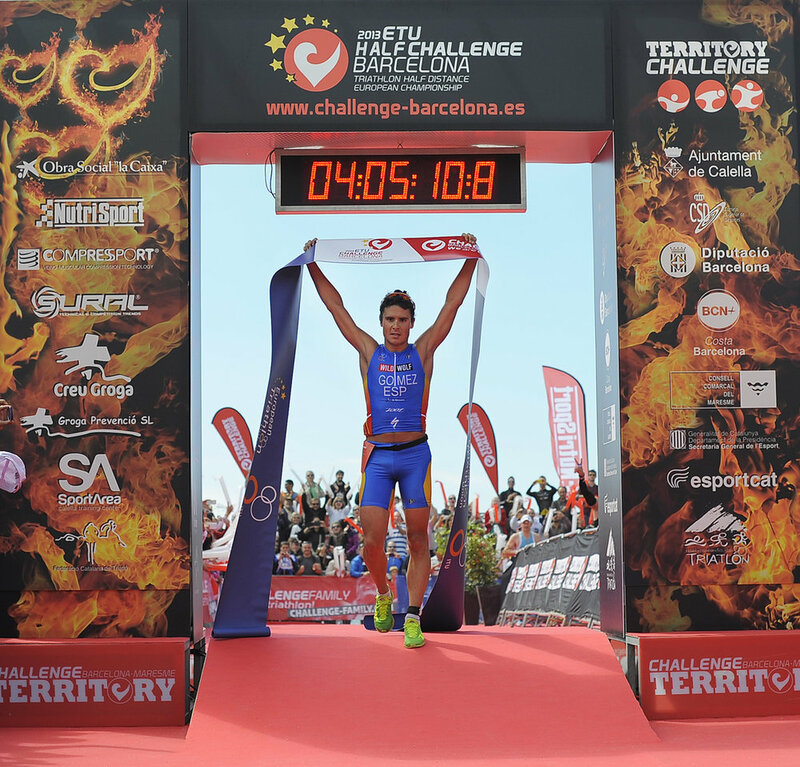 This Weeks Photo: Gomez crossing the line at Challenge Barcelona. Age Grouper of the Week: Carol Murray sent through her husband Dave for this weeks Age Grouper of the Week. While training for the Long Distance European Duathon Championships he got a serious injury. This didn't stop Dave, he overcame this and went on to complete the race. Good luck at the worlds guys. Interview: We have Gordo from Endurance Corner back on the show this week. He covers bike training so you don't lose all your speed trying to qualify for Kona every year. Coaches Corner: John answered a question from Martin Silver Surfer Silvester about taking a month off work to prepare for an IM.